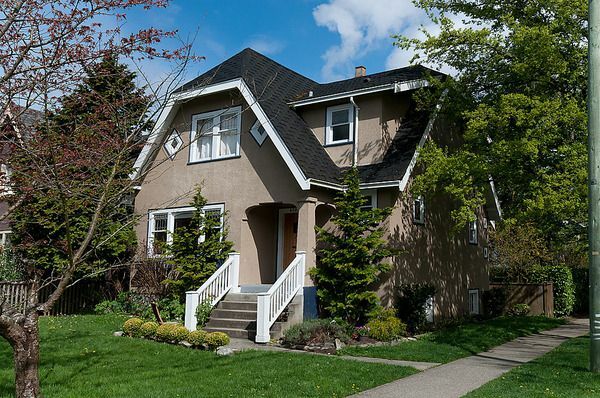 4303 West 12th Ave: Point Grey Traditional home - Charming character home with Oak Hardwood floors and leaded glass windows and French Doors. Large foyer with spacious living / dining rooms and gas fireplace in the LR. 3 bedrooms upstairs with a renovated bathroom. High basements awaits your development ideas. Gorgeous private corner lot (33 x 122) with mature landscaping, Cherry tree and Laurel hedge. Great family neighbourhood close to 10th Avenue shops, Lord Byng Hi School, Queen Mary Elementary, Jules Quesnel, UBC and WPG Academy. Open Sun May 6, 1-2:30. Open Tues May 8, 10-12.